You are now playing new girl games on GirlHit.com ! Pop star girls need you to choose their outfit , clothes and accesories. Use your imagination to create the best ouftis and combine the appropiate colors. Anna wants to become a chic diva and you have to take care of her appearance by choosing the best outfit and combining the best clothes. 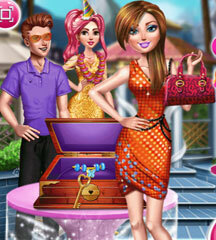 In this dress up game you have 2 game modes available. Campaign mode in which you have to remember outfits and recreate them but also the free play mode in which you can choose whatever clothes you want and use them. Anna is very excited and nervous at the same time because she has a interview from vogue today. She needs your help to design her cover magazine and make sure it will look amazing. The next step is to give her a nice makeup and dress her up in an pregnant outfit. She will make a good impression thanks to you! Have fun! Have you ever seen a vampire doctor? Now you have the chance to see one and help the vampire doctor with her patients. The patient you are going to treat today is a cute vampire . Have fun! Help our cute girl get ready for her pool date. Start the process with a nice makeup and and a new hair style. Next dress her up in a cool bathing suit and dress up the boyfriend as well. The final stage is decorating the pool area. Have fun! Our cute fashionista is invited to her best friend's birthday party. She needs your help to get ready for this event so let us get started. Take care of her makeup and hair style, dress her up in a nice outfit and make sure she prepares the special gift for her friend. Decorate the present box and choose the gift you like the most. Enjoy! 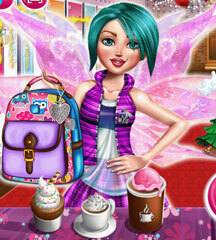 This cute fairy is the newest student at the Fairy college. She wants to look good and impress her colleagues with her appearance so she could use your help. Make sure you help her get a nice makeup and hair style and dress her up in a casual outfit. The back pack is quite important as well. She will look and feel great thanks to you. Enjoy! Organizing your wedding can be quite challenging, especially when you want to design the wedding dress. Let's help this cute girl get ready for the big day. Start with the wedding invitation and create something very special. Next it is time for hair and makeup. Now comes the important part, choose the right color and design of the wedding dress. Complete the list with the amazing decoration and the wedding can begin. Have fun! Spring is the best season to get a makeover and a look change. This cute girl needs your help to look gorgeous and fresh. Start with a cleaning and skin care treatment, next choose a new makeup and hair style for her. After you decided what colors looks best on her, it is time to choose a new outfit. Finally, complete the new look with a selfie. Have fun! Are you ready for a fun prom night? Our girls need to prepare for this special event and they could use your advice about their look. Each girl wants a special makeup and hair style so make sure you help them decide on the best look. Next comes the outfits so take a look in the closet where you will find fabulous dresses, accessories and shoes. Dress up the girls and let the party begin! Spend a lovely day with our fashion girl. She has a busy schedule today and she could use your help to make some important decisions. Start by choosing a nice manicure for her lovely hands. Next comes the makeup and hair style and you need to make sure she looks stunning. The next step is choosing a posh outfit and and some accessories. Now you and our lovely girl can go and grab a bite to eat. Enjoy! Busy day at the clinic today. Looks like our sweet girls have health issues and the doctor could use your help with her patients. First patient needs a dental exam, next you need to be an ophthalmologist, then take care of a patient with stomach problems and finally help a girl that has a broken arm. Follow the instructions and make all the patients feel much better. Enjoy! Join this cute super girl and see what her daily routine looks like. Start by preparing a nice nutritious breakfast so her day can start well. Next thing on the list is a cute makeup and a visit at the clothing store. Dress her up in a new outfit and go to have a good cup of coffee. Choose a delicious cupcake and a coffee and start relaxing. Enjoy! Spend a day with a Victoria Secret model. Help her relax by the pool in some amazing bathing suits. Of course you need to start her routine with a cool makeup and funky hairstyle before dressing her up. Finally decorate the pool area and everything will be perfect. Enjoy! Everybody deserves a vacation from time to time. This lovely princess is very tired and she planned a long time for her dream vacation in Hawaii. Let's help her enjoy her time on the island and dress her up for a nice day at surfing. Choose the most amazing bathing suit and some waterproof accessories and don't forget the surf board. After that she will attend a Tiki party and she will have a great time. Have fun! We have two famous princesses who are in love with the same type of dress. You need to help them accessorize and customize the dress so it looks unique for each princess. After you choose the right accessories for the dress and a new hair style for the princesses, you will get the fashion police decision. Who wore it better? Have fun! Eliza has a very charming tea shop. She loves having customers who really appreciate the taste of quality tea and delicious cookies. Today you will join Eliza in her tea shop and help her serve her customers. First, dress up Eliza and choose some cute clothes for her. Next it is time to decorate the tea shop tables and make everything look beautiful. Enjoy! Being a popular girl in school is not that easy. You need to look perfect all the time because all the other kids are watching you. Today you need to help two of our loved girls get dressed for school. Choose some nice and modern clothes for them and make sure you also add some accessories. This is going to be fun! Join us for another fun dress up game. Today our lovely college girl needs some advice about her fashion style and you are the right person to help her. Choose the best outfit, hair style and accessories and make her look great and modern. She will be very happy and her day will be super fun! Enjoy! We have a new challenge for all the girls who love Instagram. We need to help this cute girl get the perfect profile picture. She must look amazing so let's give her a new makeup, a cute haircut and a dazzling outfit. Finally choose the perfect setting for the picture and add some cool effects. Enjoy! Use your creativity and attend the Crafting fair. Here you have the chance to create a special Masha doll. Start by making a nice invitation for the fair. 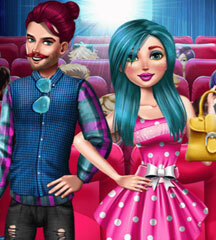 Next it is time to create the perfect doll and dress it up in some funny clothes. Have fun! Our lovely Frozen princesses are spending this amazing day on the ski slope. The girls want to have the perfect winter setting and they need your help. Follow the steps and dress up the princesses in nice winter clothes and decorate the Christmas tree. Have fun! Eliza is very excited that it's snowing. This is a great opportunity to celebrate Winter with a royal ball. Let's help Eliza gather her friends and get ready for this special event. 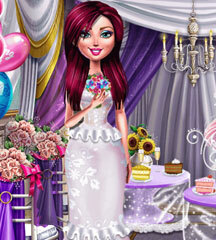 Dress up each princess in some outstanding outfits and enjoy the party! Learn how to be a kid again by joining our two princesses at the playground. You have so many options about how to have fun and entertain yourself. Before you can go we need to dress up the little princesses and make sure they look amazing. Choose something colorful and the fun can begin. Enjoy! Our two lovely sisters are attending a cosplay competition and each one of them hopes to win the big prize. Let's make sure they are dressed in some spectacular costumes, get new hair styles and superhero accessories. Help the girls choose something fun and fierce. Enjoy the game! Surprise everybody with your new college look. 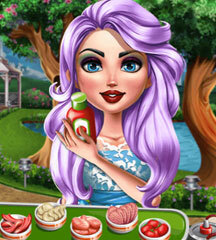 Play this fun game and help this cutie get a nice manicure, a new hair color, a fun makeup and a chic outfit. She will look stunning and you will get all the credit for this spectacular makeover. Use your imagination to create some intricate combinations of color and style. Have fun! Jessie is very excited and nervous at the same time because she has a job interview today. She needs your help to design her busyness card and make sure it will look amazing. The next step is to give her a nice makeup and dress her up in an office outfit. She will make a good impression thanks to you! Have fun! Ella is very excited to show you her projects for fashion week. She will attend the fashion parade and she needs some original pieces to wear. Let's help our beautiful girl design her own purse and shoes and then choose a chic outfit for her. She will look amazing for this special parade thanks to you. Have fun! Ella loves shopping and she adores discounts and presents. Today you have to join her in some clothing stores and search for the best clothes and accessories. Look carefully because the best items are hidden. After you find all the hidden presents you can dress up Ella in her newest outfits. Have fun! Eliza is very excited to go to the prom tonight and have a lot of fun with her friends. She needs to look spectacular so you have to help her with her makeup and outfit. Choose a modern makeup and a chic dress. Accessorize her look and she will be the prom queen for sure. Have fun! There's something important going on in the underwater kingdom. 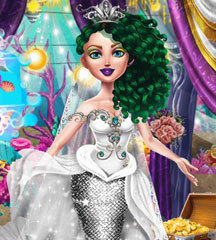 The princess mermaid is getting married and she needs your help to get ready. She has so many outfit options and she does not know what to choose. Take a look at the shiny tails, tops and veils. We also have matching accessories and all you have to do is mix and match the pieces you like and create the most amazing mermaid wedding look. Have fun! Eliza and her cute baby are enjoying a beautiful day by the pool. It's very important the the mommy relax because she expects her second baby. Start by dressing her up in some nice and comfy clothes. Choose a cute hat and some sunglasses too. Next decorate the pool and make it look amazing. Eliza will have a great day thanks to you! It is a very special day for Chloe because her friends have organized a baby shower for her. Lets help the girls get ready for the party and take care of everything. Dress up our mommy to be and decorate the room for the baby shower. The girls will have a lovely time thanks to you. Enjoy! Twilight Sparkle worked hard today and she still hasn´t finished all the task she had to do. She is quite tired and she could use some moments of relaxation. You need to help Twilight play some fun mini games and solve all the puzzles without getting caught by her coworkers. Enjoy your time with Twilight Sparkle and have fun! Flynn got injured when he was trying to climb the castle walls to see Rapunzel. He´s now in a bad shape and Rapunzel needs to take care of him. 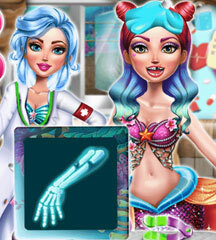 Let´s discover your doctor skills and help the princess to take care of her loved one. Follow the instructions and use the medical objects in the right order and Flynn will be healthy in no time! Have fun, doctor! It is a very special day for Eliza. Today is her coronation day and everybody is eager to see the queen. Let us help Eliza choose a beautiful dress and accessories for this amazing event and make sure the Throne room looks flawless. Take care of the setting and decorate the place in a nice way. Queen Eliza will look stunning thanks to you. Have fun! Rapunzel is a loving mother who takes very good care of her baby. Today the baby is restless and she needs your help to comfort him and make him feel better. Follow the instructions and help Rapunzel and Flynn feed the baby and keep him happy. After the baby stops crying you can make a nice family photo. Have fun! Ellie is very excited because today it's her birthday and she invited her friends to a big party. Let's help Ellie get dressed in something nice and make sure she looks beautiful. Next it is time to decorate the room for the party and decorate the birthday cake. The party will be a success. Enjoy! Elsa has a wonderful opportunity to be on the cover of Vogue Magazine. Join her for a wonderful interview and learn new and interesting things about Elsa and her life. Answer each question and have lots of fun with Elsa and her sweet baby who will be present for the interview. Enjoy! Enter the unique and special world of Japanese fashion. Elsa and Anna are about to show you some amazing Japanese traditional kimonos and you need to help them choose the perfect one. The princesses are on a vacation in Tokyo and they want to try on the spectacular outfits and accessories. Make the right fashion choice for Elsa and Anna. Have fun! Elsa visited Ariel s hair salon. She wants to try something new and Ariel suggested the braided hair style with a colorful twist. Follow the instructions and help Ariel use the hair dressing tools to give Elsa a new fun look. Enjoy the game! Angela s baby is crying and she needs your help to take care of him and make him happy. Follow the steps and help Angela feed the baby, sing to him and show her love. After the baby stops from crying you can make a family photo with Tom, Angela and their cute baby. Enjoy the game! Tom has finally made enough courage to propose to Angela. She said yes and they are getting ready for wedding. The reception will take place in a superb place and the lovely couple need to get dressed for the event. Let us help them choose the most special wedding dress for Angela and a fine suit for Tom. Take care of the accessories and the wedding decor as well. Have fun! Angela and her newborn baby need your help. They just bought a new crib for the cute baby kitty and it needs to be assembled. Let us give Angela a hand at making the crib and decorate it. Choose some bright colors for the pillow and blankets and make the baby kitty feel happy. Angela will be very grateful for your help. Enjoy! Angela can not wait to get on her date with Tom tonight. She recently renewed her wardrobe and she has some great clothes to try on. Let us help Angela get ready because Tom will pick her up in 30 minutes. Take care of her outfit and choose the cutest dress, change her hair style and add some nice accessories. Angela will look stunning! Elsa has opened a sweets shop and she needs your help to bake some delicious cakes and other tasty treats. Let´s enter the bakery and find the needed ingredients for baking a cake. Next, follow the recipe and prepare the delicious mixture. After you bake it, it is time to decorate the amazing cake. Use your imagination and make Elsa s cake look great. Now we can all have a slice. Enjoy! Princess Elsa is the guest of honor at the Arendalle Equitation competition. She and her horse must look perfect for this event and you are the right person to help them. Start by choosing the best equitation outfit for Elsa and match the clothes with the accessories. Next it is time to make the horse look good as well. After you finish they will look amazing and they might win the contest. Enjoy! Play this fun game and imagine Elsa as a anime character. You can play with her hair and choose different colors for it, also you have several costumes she can wear. Try them on and pick the one you like. Do not forget the cool accessories and booth. Elsa will look fantastic! The two princesses love a good pair of shoes. But they are so hard to find these days! That´s why Elsa and Anna decided to diy a pair of cool sneakers and some beautiful high heels. Let´s help the sisters decorate the shoes and keep up with the fashion: choose the perfect colors and don´t forget to put up the perfect accessories. Enjoy! Elsa decided that is time to learn how to be a stewardess because she loves to travel by plane. In order to make a good impression, Elsa needs a proper outfit. Let us give her a hand and dress her up in a cute stewardess costume and add some discreet accessories as well. Have fun! When she is not a Queen, Elsa is doing volunteering time at the local hospital. She loves helping people and she is very good at being a doctor. Today Elsa must get to the hospital because she has a lot of patients. Dress up Elsa in some nice clothes and make sure she looks beautiful. Have fun! Looks like Elsa is the newest member of the fashion police. She has the authority to arrest anyone who is dressed in a bad way. In order to set a good example, Elsa must be well dresses and you are the one who can help her. Choose the best clothes and accessories for our Frozen fashion cop. Enjoy! Elsa and Anna are contestants in a mini skirts competition. Each princess wants to look beautiful and modern and this makes them fashion rivals. Take care of the girls s look and dress them up in some fun and nice outfits. Make sure you complete the look with some accessories. Have fun! Get crazy and start playing the most amazing Inside Out skill game. You need to help Anger collect some beautiful memories. Make sure you catch only the right ones because Joy and Sadness are watching you. Complete the three levels and prove us that you are a winner. Have fun! Rapunzel needs a skilled friend to help her take good care of her sweet kitty. First the cat needs to be fed with tasty treats and milk. Next make sure you comb her beautiful hair with the comb and decorate it with flowers and a bow. The cat will look beautiful and Rapunzel will be very pleased. Have fun! Join Masha in her wonderful adventure. She and her furry friends are here to challenge you to an entertaining puzzle game. Use your skill to show us how good your observation skills and speed are. Solve each puzzle before the time runs out so you can move on to the next level and get the highest score. Good luck! Joy will be even more joyful if she would not have any skin problems. Let us help her with this matter and make sure we give her a beautiful look. Start with the cleaning and hydrating process. Use the special creams to remove any flaws and move on to the makeup. Here you just have to use your imagination and choose some colorful eye shadow and lipstick to make Joy look beautiful. Twilight Sparkle was playing in the snow with her friends when she started feeling sick. She got a flu and she needs a proper treatment to recover. Follow the instructions and use your doctor skills to heal Twilight Sparkle and make her feel much better. Have fun! Help Olaf have some fun today. He is all alone and he might get bored soon if he does not find something interesting to do. Let us play together a fun game and help Olaf catch some cute snow balls. You have 3 levels of difficulty and you have to complete the snow challenge on each level to make Olaf happy. Enjoy! What is going on in My Little Pony s house? Looks like Twilight Sparkle and Apple Jack are playing again. This time Twilight must find some object that Apple hide in the room. Help Twilight find all the objects on the list without getting caught by Applejack. Hurry up or the ponies will not finish the game until Santa arrives. Have fun! Elsa is quite naughty for the holidays. She drew some Santa Claus pictures on Jack s notebook. She thinks this is a nice surprise for Jack but he may not appreciate Elsa s work. Help Elsa finish the drawing on Jack s notebook without being caught. Let us hope her naughty deed will not get noticed by Santa. Have fun! It s cooking time! Twilight Sparkle and Pinkie Pie want to bake a very special cake for all the ponies. The only problem is that they get distracted very fast and the cake may get ruined. You have to follow the recipe and bake the cake for My Little Pony friends. Do not forget to choose the most amazing creams, frosting and decorations for this amazing cake. Enjoy! Rapunzel needs your help in assembling her little baby’s crib, as she has no idea how to put together the pieces. Help our beloved princess and her sweet baby assemble the crib, then decorate with fabulous baby decorations. Pick colorful and girly like items, create the perfect crib for this sweet baby girl and have fun with Rapunzel. Applejack is craving for a tasty apple pie. She decided to make one but she needs the most sweet apples from the orchard. You need to help Applejack collect 10 apples on each level and make sure you do not gather anything else. If you succeed with this fun task, Applejack will give you a piece of her famous delicious apple pie. Enjoy! Looks like Twilight Sparkle and Flash can not have a moment of peace when they are together. Today they were suppose to meet in the library and hang out but someone is always disturbing them. Help Twilight steel some kisses from Flash when no one is looking. Make sure they do not get caught. Have fun! Rapunzel is a bit jealous because Elsa does more delicious food than she does. She decided to spoil Elsa s food and put a lot of salt and pepper in it. You need to help Rapunzel become the evil chef and destroy Elsa s food when she is not looking. It is a bit mischievous but it is a lot of fun. Enjoy! Riley was getting very bored so she decided to play a fun game. She called on her special friends to join her and you have a very special role. Joy, Fear, Sadness and Disgust hide some items all over the house. You must help Riley find all the objects and hide her when Anger is approaching. Look at the list and once you find all the items on it you will win the game. Have fun! Twilight Sparkle wants to win the Halloween spells competition. She must find the items on her list before the others do. Take a look at the list and gather all the items as fast as you can. Make sure you hide whenever someone is approaching. Have fun and Happy Halloween! Going to the cinema with your crush is great. But it is not so great when you have some friends who are watching you all the time. Jack took Elsa to the cinema and he can not wait to kiss her. Unfortunately Olaf and Sven are watching them. Use your skills to help Elsa and Jack kiss without being caught. Have fun! Looks like Twilight Sparkle needs some pampering moments after a full day. She has in mind a scented bubble bath that will help her relax and forget about the stress. You need to help Twilight get clean by preparing this amazing bath for her. Once she feels refreshed, dress her up in a new outfit. Enjoy! Elsa is quite mischievous today. She wants to give a new look to Jack s homework when no one is watching her. The dull writing is not impressing the Queen of ice so she will draw some hearts on it. You must be very careful so Elsa does not get caught by Jack or Olaf. If you succeed in helping Elsa, Jack s homework will look much better. Have fun and good luck! It is time to help our little friends from Inside Out to clean up their secret laboratory. The place is a mess and the only one that wants to do some cleaning is Joy. Fear, Disgust and Anger are to busy taking care of their own emotions. Joy can t handle this cleaning situation all by herself, so give her a hand and help her make this place look amazing. Have fun! School has started and the Equestria Girls are already in trouble. They had so much fun after school playing, throwing things and painting, but now they need to clean up the classroom and make it shine before the teacher sees all that mess. Help them clean up the classroom and make it look even prettier than it was. Have fun! Girls, Princess Elsa urgently needs your help! She looks awful and needs a total makeover to regain that beautiful and soft skin. Use all your magic tools and makeover products to make Elsa pretty again, then offer her a fabulous makeup with bright and glossy colours from the wide variety of beauty products. Mix and match colours until you will get that fantastic result and Elsa will look amazing. Enjoy! Nothing can relax you and intrigue you at the same time than a puzzle. We have the perfect My Little Pony puzzle for you. 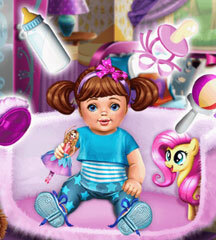 It is fun and entertaining and you will love to recreate each image with your favorite ponies. Complete the puzzles before the time runs out so you can gain a high score. Good luck and have fun solving this great puzzle! Elsa and Jack are finally getting married. They want to make a great impression with their first dance and they could use your help. You get to do two things at the same time. You can learn how to play the piano with Olaf, and you can compose a beautiful song for Elsa and Jack s first dance. Watch them dance on your music. Have fun! It is a very special day for Elsa and she wants everything to be perfect. It is Elsa s wedding day and we need to help her choose the wedding cake. Use your baker skills to choose and decorate a delicious cake. Take a look at the diversity of sweet decorations and choose those that will make Elsa s wedding cake look special. Enjoy! Tom is home alone with his kid today. The baby kitten is not feeling too well and Tom does not know what to do. Let us give Tom a hand and take good care of his kid. First find the hidden toys, next use the medicine and tools to help the kitten with its tummy ache. With a little care and attention Tom s kid will feel much better. Enjoy! Princess Ariel and her beloved pet Treasure had a wonderful day in the gardens, yet Treasure hurt herself and now she needs caring. Help Ariel take good care of her lovely pet, starting with a good bubble bath to remove the dirt and tree branches, clean her clothes and make sure to get rid of those nasty bugs. Treasure will feel better thanks to your help. Elsa is enjoying her summer vacation at the beach. This will be the last vacation before her baby is born. Let us help Elsa pack the needed items for the beach and, once she arrives at the beach, make sure she protects her skin against UV. Follow the steps and make sure you put sunscreen lotion on Elsa s skin and give her a vitamins injection. Elsa will feel great after you help her cool down. Have fun! Tom and Angela are getting ready for their dream vacation. They need some help organizing their stuff and arrange them. First gather all the clothes and put them in the clothing luggage and then grab the beach objects and put them in the other luggage. When you finish packing, use the vacuum cleaner to clean up the room. Thanks to you, Angela and Tom will have a great vacation! Draculaura is hosting a party and she decided to serve her guests a special treat. She wants to prepare some freaky cupcakes that will delight and scare her guest at the same time. Let us help Draculaura prepare and decorate these deliciously terrifying cupcakes. Enjoy! Elsa is pregnant and she suddenly felt the need to play the piano. She has a beautiful piano and she made an insurance for it because it is very valuable. Because Elsa has not played for a while, we have to help her rehearse a little. Follow the steps and help Elsa play some beautiful piano songs. Have fun! Looks like Olaf loves cool baths. Elsa wanted to please Olaf so she use her master card to buy a special cooling bath tub. Let us hope that Olaf will not injure himself in the bath tub because he does not have a medical insurance and Elsa will have to pay for the treatment with her master card. Follow the steps and give Olaf a bubbly bath that will make him feel and look very fresh. Rapunzel used her master card to buy a cute pony. She also made a health insurance for her lovely pet and now she needs some help to take care of it. Rapunzel got some delicious food for the pony and she payed it with her master card. Make sure you feed the pony and clean it so Rapunzel can ride it safely. The health insurance will cover any injuries the pony might get but Rapunzel wants him to be safe. Enjoy! Elsa is very busy today because she needs to get a health insurance for her beautiful horse. It is a rare horse and he needs the medical insurance in case he gets hurt. Take care of the horse and feed him wit the proper food, give him water and clean him. Elsa will be ready to take him for a ride, now that he is a horse with health insurance. Elsa wanted to buy a new bike for Olaf but she realized that her credit card was empty. Until she gets some funds on her credit card, let us help Elsa decorate a beautiful bike for Olaf. Use your fashion sense to make the bike look like an expensive jewel. Olaf will be very pleased and he can not wait to ride his beautiful bike with the speed of light. Talking Angela graduated from a famous American University and now she is a real estate agent. Come and buy one of her beautiful properties, decorated after her fabulous taste and jolly personality. If you think the price is too high, I am sure Angela can offer you incredible house loans offers, together with an amazing house insurance. Elsa has a new hobby. She is a fashion model that allows her to wear the coolest clothes. Right now she is hosting a fashion shooting and the theme of the photo shooting is the Solar Eclipse. Select some amazing fashion runway outfits for Elsa and make her eclipse everyone with her high fashion look. It looks like it is a peaceful and ordinary day for Angela and her kid. The little kitty plays and she needs your help to find her favorite toys around the house. You need to watch carefully for the hidden toys and find them. Next you will have to play doctor for the kitty and treat her tummy ache. Use the medicine to make the kitty feel better. Do not forget to show your love for the cute creature. Enjoy! Madeline Hatter is searching for the perfect outfit. She wants to meet with her friends and she knows she has to look impeccable for this event. All the girls will keep their eyes on her so nothing can ruin her look. Choose the most beautiful dress for her, some chic accessories and let us not forget about hair style and makeup. Enjoy! Baby Tom is all alone at home and he needs you to take care of him. Start by changing his dirty diaper with a clean one. Make sure you wash him and use plenty of powder before you put the diaper on. Next it is time for the bath. Fill the tub with water and wash baby Tom using scented shampoo and soap. When he is clean, dry him and comb his fur. Have fun! Granny left her grandchildren unsupervised and they trashed her entire house. Look at this messy living room! It is covered in paper, glasses and all kind of food. You have to help the cute grandmother to clean the place. Follow the instructions and use the cleaning tools to make the room spotless and clean. Have fun! Talking Angela is preparing a big surprise for Tom. She wants to bake a delicious cake and celebrate their anniversary as a couple. Let us give Angela a hand and make sure she has all the ingredients she needs for the cake. Next, follow the recipe to mix all the ingredients in the right order and prepare the cake mixture. Put the mixture in cooking trays and bake it in the oven but no more than 5 minutes so you do not burn it. Finally decorate the delicious cake and make it look beautiful. Enjoy! Get inside the Frozen stories by playing this fun and entertaining game. You have a series of great puzzles that you have to solve. You have to arrange the pieces and create a Frozen picture. Make sure you finish the puzzle before the time runs out and keep in mind that the puzzles will become more complex as you solve them. Have fun! Elsa wants to clean her kitchen and she decided to start with the fridge. Let us give her a hand so she can finish the hard work sooner. Remove all the products that are no longer good for eating and put them in the trash can. Next use the mop and broom to clean the floor and gather all the trash. The kitchen will look great once you finish the job and Elsa will be grateful. Have fun! Princess Rapunzel is very joyful because she is ready to deliver her baby. She must hurry and get ready because she must arrive at the hospital. help Rapunzel pack the necessary things for her baby. Search the room for the items on her list and once you find them get Rapunzel to the delivery room. Check her heart rate and give her an epidural because the baby will born soon. When the baby comes, dress feed her and put her in warm clothes before getting the baby girl to Rapunzel s loving arms. Cleo de Nile is very happy because she is close to giving birth to her baby. Help her pack some items for the baby and join her to the hospital. Make the necessary tests using the medical tools and see if Cleo and her baby are healthy. Once the baby is born, take good care of him and put him in his mother s arms. Have fun! Draculaura is your school teacher today and she has some fun and interesting tasks for you. Let us start by guessing the character from the board, next paint a nice picture like you see in the example. 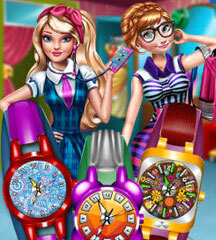 Finally you need to solve a Monster High puzzle and get your score. Have fun! Cleo De Nile wants to organize a baby shower for her baby and she needs to make some shopping. She has a list of items that are necessary for the party and you need to help her find them and place the in the shopping cart. Follow the instructions and make Cleo happy. Have fun! Anna is going shopping today. She needs to refill her fridge with healthy food because she is pregnant. She also has to buy some items for the baby that will be born soon. Let us help Anna finish this shopping task as soon as possible so she does not get tired. Find all the items on her list and put them in the shopping cart. Anna will be very pleased that you helped her. Enjoy! Angela is about to deliver her baby. Before she goes to the hospital she wants to clean her house and make it look nice. Since she is pregnant it is very hard for her clean and make other house chores because she is very tired all the time. Let us help Angela make her house nice and tidy. Star with the living room and gather all the dirty laundry and toys. Put them in boxes and use the vacuum cleaner to remove the dust and dirt from the carpet. Angela will be very pleased by the result. Enjoy! Angela is at school today. She will be teacher for a day and will help the children to recognize some characters and solve some simple math quiz. Complete all the fun tasks with Angela and the kids from school. Enjoy! Because she is pregnant, Elsa decided to spend her day among children. She volunteered to be a school teacher for a day. Help Elsa do a nice lesson for the kids and make sure you solve all the fun quiz and tasks. You will have a great time at school. Have fun! Princess Rapunzel is pregnant and she craves for some stuffed turkey. Join her shopping and buy all the necessary ingredients for this dish. After you bought all you need, head home and prepare the nice turkey. Stuff it and roast it. In no time Rapunzel will enjoy a tasty turkey and pie. Have fun! Elsa wants to celebrate her pregnancy by inviting her friends to dinner. She is planning to cook a delicious turkey and some other delighting dishes. She made a list of the ingredients she needs and she went to the supermarket. Can you help Elsa find the items on her list? Make sure she buys all she need for the special dinner. Have fun! Today Elsa has many chores that need to be done and she got very tired because she is pregnant. One of the most annoying things that Elsa needs to do is doing laundry. That is right, Elsa needs to wash a big pile of clothes. Can you help her? Separate the clothes depending on color and put them in the washing machine with detergent. In just a few minutes the clothes will be clean and ready for drying. Elsa will be very thankful. Have fun! Queen Elsa decided to take some time off from the royal duties. She and Olaf went camping in a quiet place near her palace. They made a nice tent but they got hungry. You have to help Elsa gather some woods to make a fire. After the fire is led, cook some marshmallows to feed Elsa and Olaf. Make sure you cook them just right and do not burn them because it will get bitter. Enjoy! Talking Tom is at home preparing for Christmas. Unfortunately he was a bit busy and did not had the time to decorate. Will you help him complete this fun task? Choose the most spectacular Christmas decorations for his house and decorate the Christmas tree as magical as you can. Tom will be very glad that you helped him. Merry Christmas! Everybody knows Peppa Pig loves to play, especially in puddles. This time i think she got a bit too far because she looks unrecognizable. Mud, dirt, branches, all on her and her clothes. She looks very messy. We have to help her before someone else sees how dirty she is. Use the shower and the hygiene tools in the right order to clean Peppa and her clothes. Make sure she has no spots on her clothes or on herself because she will not be happy. Enjoy the game! Rapunzel needs some beauty treatment to improve her skin look. You have to help her become more beautiful than she already is. Follow the instructions and use the beauty masks and lotions to make her skin soft and smooth. She will look and feel great thanks to you. Have fun! Peppa Pig wants to feel spoiled today. Let us help her go thru a makeover. Follow the instructions and use the beauty products in the indicated order to make her skin look refreshed and young. She will be very delighted and happy. Have fun! Peppa Pig was playing with some friends in the park when she felt and got injured very bad. You are a good doctor and you have to do all you can to make her feel better. Follow the steps and use the tools to make her recover. Use the ice to heal her bruised eye, remove the splinter using the pliers and clean the blood. Apply a bandage on the wound and give Peppa a pill for the pain. Use the oxygen mask to help her breathe better and give her an IV. Shortly Peppa will start to feel better. Enjoy! Talking Ginger is very busy today and he is determined to work hard. He has a lot of dirty clothes that need to be washed and dry. We have to help him because we do not want see him exhausted. Start by separating the colored clothes from the white ones. Next, put them in the washing machine with the right detergent. When the clothes are washed you have to hang them to dry. Ginger will be very happy that you helped him. Have fun! Queen Elsa was getting ready for the Halloween party when something went wrong. Someone tried to scare her but in stead he managed to hurt her badly. You have to do what ever you can to heal Elsa. Follow the steps and use the hints to make Elsa healthy. Remove the knife, clean the wound and bandage it. You also have to use the ice to get rid of the nasty eye bruise and give Elsa a blood transfusion. Thanks to you Queen Elsa will be fine! Talking Tom decided to chase some birds inside the forest and he managed to get extremely dirty. He is covered in mud spots and has branches and dust in his fur. Let us help Tom get clean. Use the cleaning tools in the right order and make Top spotless. Make sure you undress him and clean his fur with great attention. He will thank you for your great effort and will be very glad that you took the time to help him. Enjoy! Hmm we have more delicious treats from Elsa! She just got used to cooking great food and today she is making us some amazing cupcakes. Lets join her in the frozen kitchen and see if she needs any help. Let us help Elsa prepare the delicious cupcake composition by following the exact instructions. After the cupcakes are in the oven, it is time to make the frosting and decorate the delicious desert. Now we just have to taste it. Have fun! Hey kids! Today we have to help Dora get clean. She played with her friends and managed to slip into big hole filled with branches,leaves, little rocks and a lot of mud. You can imagine she is very messy. Let us use the tools in the right order and make Dora and her clothes clean again. Do not forget to disinfect her minor injuries and make sure you do all the work before the time runs out. Dora will be very glad that you helped her get rid of all the dirt. Have fun! Look at Elsa! Her horse got scared and she felt from the carriage. She is dirty and full of branches and scratches. Let us be the one who help her get clean. Use the right instruments in the right order to wash her and also clean her dirty dress. She also will need her wounds disinfected and bandaged. Take your time and complete all the tasks to make sure Elsa looks and feels good. Have fun! Elsa wants to surprise Ana, what do you think she is up to in her icy kitchen? What do you think Elsa is cooking in her fabulous frozen kitchen to surprise her sister Ana?Let´s find out together! Master Chef Elsa is craving for some tasty pizza and she decided to make some. Are you up for the challenge? Help her chop all the ingredients, prepare the tender dough and cook this wonderful pizza. Follow all the steps and you will have the great honor of choosing the pizza toppings. Have fun and enjoy the pizza! Pou loves to play with a lot of toys outside and that is why his toys are full of mud and dust. You have to help Pou clean his toys so he will not get any virus while he plays with it. Separate the regular toys from his cars and put them in separate baskets. Next you have to put the toys in the washing machine with detergent. When the toys and cars are cleaned and dry, put them in their right place. Have fun! Dora did not listen to her mother advice and, when no one saw her, she played with a box of matches. The result is dramatic. Dora lost a good part of her hair and has some light burns on her scalp. Help Dora grow back her nice hair. First wash her hair,then heal the burns and blisters using the drops. Finally use the 2 Phase hair growing treatment so that Dora look beautiful again. Have fun! Violetta is in mood to spoil herself and this is why she is at a spa salon today. You have to give her some beauty treatments that will make her look fresh and relaxed. Follow the instructions and give Violetta a wonderful time in your beauty center. Have fun! Beautiful Violetta has serious problems with her teeth. You remember her perfect and beautiful smile ? Now it is gone and she needs a really good dentist to give her back the perfect smile. Can you handle this tough job ? Use the tools in the tray to whiten her teeth , remove cavities or even replace some black teeth that she really has to get rid of. Pou is really fond of animals, so today he is inviting you at his cute little farm to take care together of animals and have fun. You must plant corn to feed the cow and chicken, so both of them will be really happy and give you milk and eggs for a delicious and healthy breakfast. What are you waiting for, prepare for some amazing Pou time at the farm. Pou is a natural NBA basketball talent and he will show you he is the king of the court in this awesome game. Shoot a three pointer, dribble up and down the court, make a fantastic combo and get the highest score. Clear up the streets cause Pou is learning how to drive and it can get messy! Be kind and teach Pou how to park perfectly in this great game, so he can avoid hitting other cars and obstacles, and become a master at parking. It looks like a lot of fun, so join Pou in his car for a fantastic ride. Pou had lots of fun testing his brand new yellow Beetle, but after a bumpy ride, it needs some fixing, so Pou has parked his nice car in your amazing car salon. Get it on the platform and fix all that is broken, starting by removing the nail from the tire, patch it and add pressure, replace the broken windshield, paint the car and Pou will be really happy cause his car looks good as new. Pou have just graduated the difficult cooking school and now he is an amazing pizza chef at a fancy restaurant in town. Just name the pizza you want and Pou will prepare you a delicious and flavored dinner, exactly as you desire it, using the top ingredients. His pizza will make you lick your fingers and ask for more. In this beautiful game Talking Tom is a cute fireman. Help Tom wash his firetruck.Enjoy our Talking Tom washing car game! In this game with the cute Crazy Monsters you have to take care of them and make them healthy by using doctor tool to heal them. They are injured and hurt by people who are scared of them even if they are very good and they always help people. Today you get the chance to make your dream of becoming an eye doctor come true and run several important tests on our sweet friend, Talking Tom. Start the examination with several important tests such as short and distance vision test, duochrome test, use the opthalmoscopy for further investigations, computerized eye check up, and manual eye test to find out the source of Tom vision problems. At the end, choose a pair of fabulous glasses that perfectly fit his happy personality. Minion Girl was riding her bike when she hit a fence and hurt herself. Now she came to you , a great and famous doctor to heal her and make her feel good again. She is crying and her wounds are bad but you are the only one that can save Minion Girl. Quickly, quickly! Dora hurt herself while riding the bike and now she is sitting on your chair with her jeans ragged by a nasty injury. It really hurts, so use your tools to heal her wounds and make sweet Dora smile again. Clawdeen eyes must be checked out to fix her blurry vision problems, so this is your chance to be a wonderful eye doctor in this fun Monster High game. Start the examination with several important tests such as short and distance vision test, duochrome test, use the opthalmoscopy for further investigations, computerized eye check up, and manual eye test to check Monster girl’s eyes move properly, put eye drops to calm her eyes and pick up a pair of gorgeous glasses that fit her fabulous style. Clawdeen decided to celebrate Valentines Day by decorating her room in a lovely Valentine spirit. She thought of using all Valentines Day symbols, such as flowers, rose leafs, heart balloons or any other decoration in a shape of heart to go better with her big pink bed, fluffy carpet, beautiful coffee table and tall wardrobe for her numerous clothes. Go wild with crazy candy colors for the walls, pick a gorgeous painting represint love and the room will love wonderful. Start your engine and prepare for the race of the year! Choose who to bet on, beautiful Barbie, heroic Ben 10, cute little Dora, jumpy Mario or Monster High fashionista Draculaura? Join them through the bumpy and full of obstacles stages of the race and see who croses first the finish line in this awesome motor racing. Monster High may look like an ordinary school, but look closely and explore the freaky halls and you will find rather non-traditional students, just involved in a non-conventional fight with deadly weapons. Now Clawdeen, Abbey Bominable, Frankie Stein and Twyla are waiting for you to be their creepy doctor, heal their injuries with all your horrific tools and make them once again drop dead gorgeous. Clawdeen Wolf did not listen to her mother when she told her not to pick up her nose because it is not nice, now she is waiting for you to make her feel better. 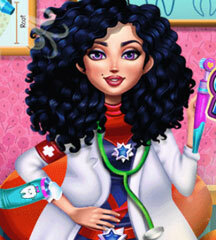 Become a crazy nose doctor and solve her problems in this awesome game. Baby Minion set on a great activity, that of washing the dirty laundry, but he has no idea how to do that. Stop him from doing a silly thing and show him how to sort out the white clother from the colored ones, then add detergent and start. The job is done. Experience precision cutting and styling at its finest in this awesome beard salon game. A beard can make all the difference in the world for someones appearance, so shampoo, brush and dry Minion´s beard, then cut his beard in a fashionable manner, finishing with an application of a soothing and calming post shave balm and protective moisturiser. Have fun! Sweet Baby Minion couldn´t wait till Christmas and broke in all the sweets and candies, now he is whinning of bad toothaches. Use your magical dental tools and fix this cute baby´s teeth and put on his lovely face a big happy smile. Dora the Explorer is set on a new and beautiful experience, that of decorating the living-room and the Christmas tree, create a cozy arrangement and lovely atmosphere in her waiting for Santa´s presents. Punch up traditional red and green with pops of fuchsia, nice ornaments and tall socks to invite Santa down. Want to exercise your cutting and shaving skills? In this fun game you will learn to offer your clients fashionable beard styles. To properly shave a beard and make sure you don´t leave the face irritated, start by washing, drying, unravel the beard, then cut, shave and apply a refresing after-shave. Your clients will look great and will return for sure. Sweet Baby Smurf’s teeth are growing, so he has come to his first check up at the dentist. Carefully inspect his calf’s teeth with your sophisticated dental tools, show him how to take care of his teeth in order to grow healthy and beautiful and ,at the end, offer him a lollipop for being such a good patient. Cute minion was hit by a rocket and now need a doctor. Help him to look like before and to have again that wonderful smile. Enjoy our minion game! This fluffy and adorable bunny injured itself running and playing with his friends in the forest and now has serious pains. Help him by cleaning his wounds, put cute patches and make this sweet bunny happy. DracuLaura is in pain and urgently needs your help to get her wounds cleaned up, take care of them, put patches and at the end give her a lollipop for being a good girl. Puppies are without doubt some of the most adorable things on the planet, so your puppy depends on you for the best puppy care. As he loves playing in the mud,he needs a good bath, to be groomed, vaccinated and fed, after dress him up for a nice walk in the park. Our favorite kitty has serious toothache. Freeze, drill, scrape, freeze, floss and polish our fluffy friend´s teeth and give her an incredible smile. Take care and play with our adorable puppies. Give them a proper bath, feed, pamper and play with them all day long and will live incredible happy and fun moments. Darculaura just moved into a new house. Help her to decorate her room were she will sleep.A nice bed, a beautiful painting and everything you think is more appropriate for our sweet girl. Everyone loves a good cocktail! You think you can play the role of the bartender and make the best cocktails and to hit good mixes? Try to show us your skills in the bar. Enjoy our bartender girl game! Draculaura needs your immediate help! She has to go to a party, but unfortunately she has big teeth problems. Please, help her to regain her shiny smile, so she can attend the party promptly! Draculaura wants to relax with a hot stones massage and an oil massage. Help her to have a wonderful day. Enjoy our Draculaura massage game! A little girl , relative to Draculaura from Monster High needs you today to give her a nice , warm , bubble bath. Play with her using the toys in the background. You have to give this baby a bath near the cemetery because the cemetery is her favorite spot.